Evaluating for Quality: Jaime VanSchyndel gives you a bit of info on barismo's new Somerville location at The Aeronaut Hub, as well as some of our hopes and goals for the new neighbourhood. Stay tuned for more updates and opportunities to see the new space! 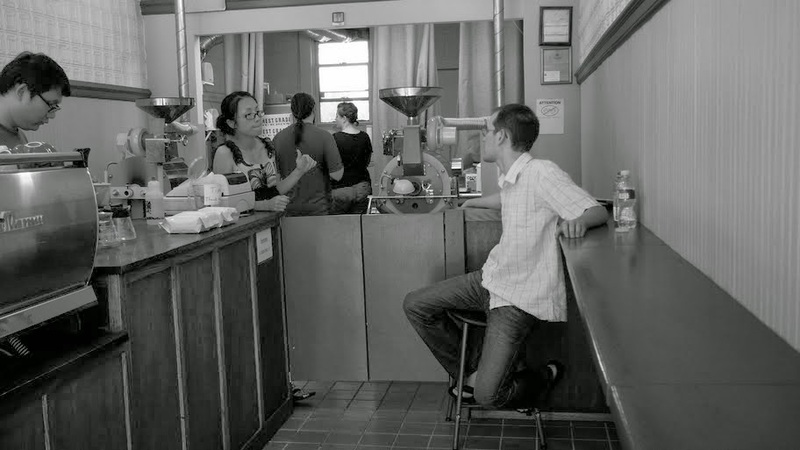 The first barismo was a one-on-one experience. Back then, there were two of us and we worked every day. When one of us got sick or needed a day off, the shop was closed. If you came in during a roasting session, you'd have to wait for an interval to get a bag of coffee. We didn't serve coffee and it was really more of a whole bean bar. While we didn't sell coffee, you could come in and taste something, try a brew method we had on the table, then get a bag of freshly roasted coffee. If you came in after a roasting session, you got a chance to hang out and talk about methods, processing, or really just engage about great coffee shops. This is what we want to present at the new space in Somerville. We want to get back to an experience where you can pick our brains and really get to as deep a level as you want to go about your coffee. The roasting setup will be open air in front of a stage where you can watch and even interact with the roaster. There will be ongoing tastings not only of coffee, but beers by Aeronaut, foods from other vendors and an array of collaborative tastings. We are scheduling presentations soon by our Kenyan coffee source this year, some farm partners will visit, technology and new product demos, as well as an assortment of presentations about our fresh crop coffees as they arrive. We will do classes in this space at varying hours on the weekends on an array of topics. We hope to host a lot of serious coffee industry events and gatherings for the coffee community. Surely the lure of Somerville's new brewery can get even the most stubborn barista to come out to the space. Local cafe owners Lucy Valena and Simon Yu will be sharing about their experiences visiting Direct Trade farms in Guatemala. Happening at Voltage Coffee & Art in Kendall Square this Friday! Sign up free at www.originstories.eventbrite.com Join us for an evening of stories, photos, and good company.